Photo editors allow us to create and modify bitmap-based graphics and photographic images. This includes tasks such as painting and drawing, color correction, photo enhancement, creating special effects, image conversion and adding a text to graphics. There are different types of photo editing software like Adobe Photoshop, Paint Shop, Photo matrix, Adobe Photoshop Express etc. 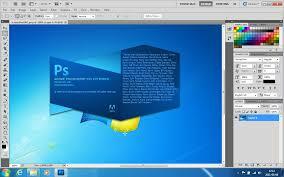 Adobe Photoshop is one of the most popular professional graphic editing software packages. It offers a large number of filters and plug-ins which enable us to add cool effects to images. It has a premium set of image transformation tools. Among other things, the latest Photoshop version comes with enhanced vector graphics and 3D editing capabilities. Many tools are available for photo editing. We can re-size, crop, change color and background along with the brightness of pictures by the use of Photoshop. We can save edited photo with the different extension like “.psd”, “.jpg” and “.bmp”. How to create new Canvas? Step 3 Choose the size of canvas according to your need. Adobe Photoshop offers a large number of filters and plug-ins which enable us to add cool effects to images. The drawing canvas is the area in which you will create or modify images. Write short note on photo editing. 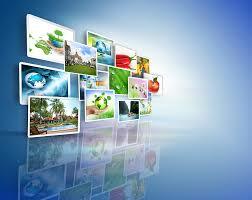 Photo editing allows us to create and modify bitmap-based graphics and photographic images. This includes tasks such as painting and drawing, color correction, photo enhancement, creating special effects, image conversion and adding a text to graphics. There are different types of photo editing software like Adobe Photoshop, Paint Shop, Photo matrix, Adobe Photoshop Express etc. Write some advantages of Adobe PhotoShop. Write short note on Adobe PhotoShop. _________is one of the most popular professional graphic editing software packages which offers large number of filters and plug-ins which enable us to add cool effects to images. Which of the following is not the advantage of Photoshop? We cannot save edited photo in different extension like “.psd”, “.jpg” and “.bmp”. We can re-size, crop, change color and background along with brightness of pictures by the use of Photoshop. Allow us to create and modify bitmap-based graphics and photographic images. Which of the following is not photo editing software? __________ is the area in which you will create or modify images. _______________ allow us to create and modify bitmap-based graphics and photographic images. Any Questions on 'Computer Graphics '?